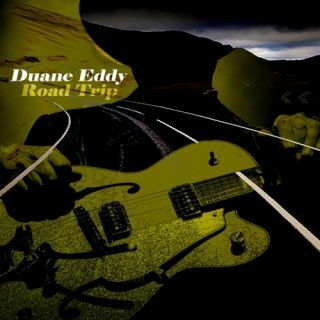 At 73, and after nearly 60 years in the studio and on the road, instrumental legend Duane Eddy could be taking it easy. Instead, the original Rebel Rouser is heading to Glastonbury, via Sheffield. Nashville-based Rock and Roll Hall of Famer Eddy told our sister site Guitarworld.com about his collaboration with Richard Hawley on new album Road Trip. "I met Richard Hawley, and suggested that we record together. Graham, who managed both of us, said let's make a new Duane Eddy record, so we went up to Sheffield to Yellow Arch Studios and laid it down. "The studio was funky, like we used to have in the old days, and comfortable. It was really conducive to creating. We sat around writing songs, I wrote a few, the guys in the band wrote a few, and in 11 days we had a record." Eddy will be playing a final warm-up gig at Greystones in Sheffield on Friday June 24, before heading to Glastonbury's West Holts on June 26. A lucky few can also catch him at the 100 Club, London, on June 21. Head on over to Guitarworld.com to read the full Duane Eddy interview.